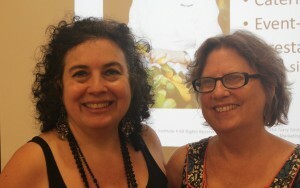 Interviewed Slow Food Snailblazer Mary Cleaver, Owner, The Cleaver Co. – a successful, sustainable catering, restaurant, cafe and kiosk business at 3rd Food Entrepreneurship class at the Natural Gourmet Institute. 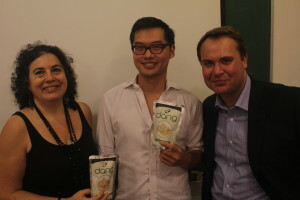 Vincent Kitirattragarn, Founder, Dang Foods (Best Snack, 2014 sofi™ Award) shared his 5-minute rhyming pitch slam to Investment Banker Christopher Bradley and my students. Impressive how he started with $90,000 3 years ago and expects 2014 sales of $4.5 Million. Congratulations! 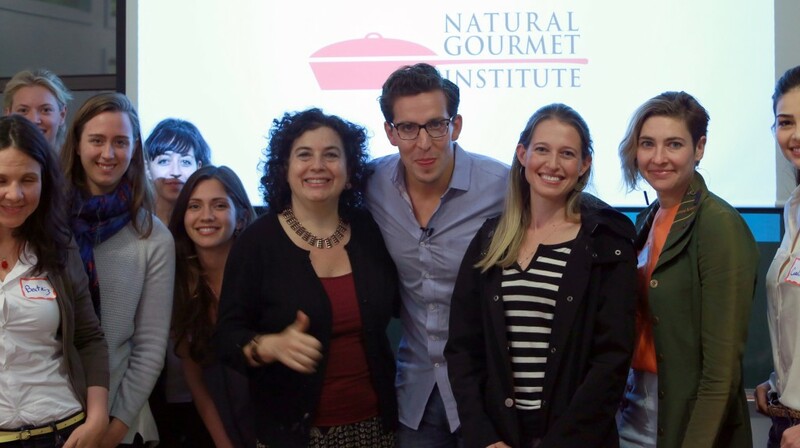 Interviewed Alissa Wagner, Chef and Co-Owner of Dimes, at 2nd Food Entrepreneurship class at the Natural Gourmet Institute. Interviewed Adam Eskin, Founder & CEO of Dig Inn Seasonal Market, at 1st Food Entrepreneurship class at the Natural Gourmet Institute.